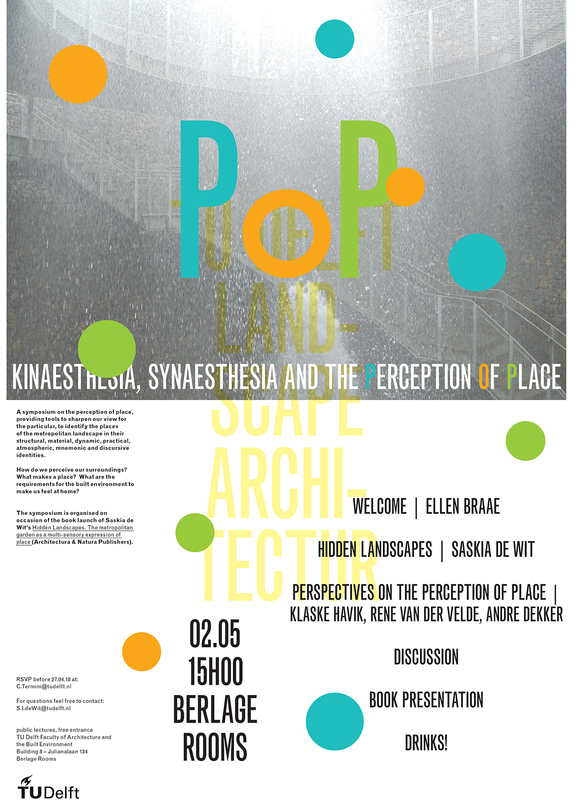 Following up former contributions of the chair of Landscape Architecture/TUDelft to the Oerol Festival we are this year developing our fifth project in the framework of Sense of Place – IOPM. The 2017 project has just been named; PIN(K) A PLACE – Disclosing Landscape. 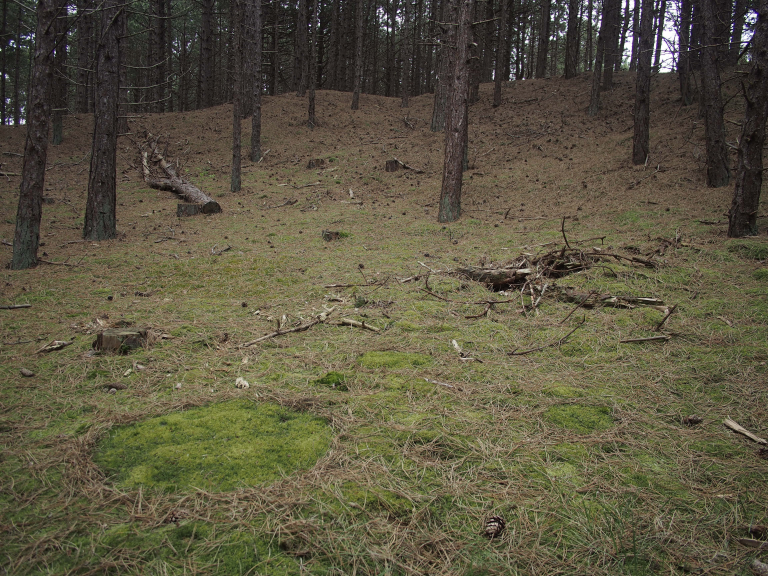 This year expedition project focus on Place and Perception and is located in a forest nearby Duinmeertje Hee. Background and methods used during the design process. The first step of the recognition and mapping phase made on site was the introduction of an exercise when the students were asked to walk into the forest for the first time, not in groups but alone and remote from each other by about 30 meters, not using any of the existing paths but starting from the edges of the forest and walking into the forest in a straight line minding and making notes of the deviations – moments when, where and why they were inclined to stop or leave the referential straight line to research the particularities of the forest, coming back to the line after the recognition of a certain particularity continuing their journey along the line till the next moment of deviation happened. By introducing this linear movement a qualitative recognition of the site was established; obstacles were encountered during the walk; the perception and ‘view’ of the students were drawn by events, objects, atmospheres along the way introducing serendipity into this mapping phase. The experiential dynamic of walking and the sensorial relationship with the site made the students much more aware of the particularities they encounter and the deviations they were inclined to make. By noting this particularities and encounters a first map of capacities of the site were made. This exercise that was not meant, in principle, to collect hints for the project but be a recognition of what was there, has generated an unexpected affluence of material, perceptions, experiences and is still informing the project in its end phase. Not only the experiences and deviations on site are been inspiring but also the very exercise of walking as a research method, what confirms the importance of been conscious about the ‘steps’ taken during all phases of the design process. The second step directly related to the walking a straight line exercise was to compare and discuss the experiences in the group trying to find out the way to match them. This phase revealed on one hand the tendency to describe tactile aspects of the site and on the other hand talk about feelings, remembrances, stories related to certain spots along the way, ending in a map overlapping different ephemeral encounters. The most important conclusion of this brainstorm section, along with that of mapping the individual opinions or making lists of emotions, is the realization that each of us has a personal perception of the landscape. In this sense you could make as many maps and lists as visitors are of the same forest. What remote back to understandings about place and perception the students had studied in the introductory phase like the Richard Muir’s book Approaches to Landscape where he also refers to another important researcher on subjects related to Place and Perception, Yi Fu Tuan; “In experiencing places, we simultaneously encounter two closely related but different landscapes. The real landscape, the objective one made by soil, vegetation and water. 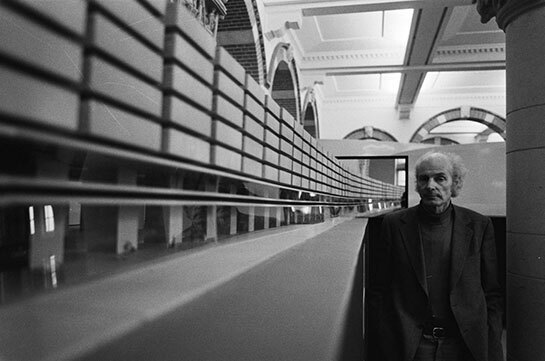 The other is the perceived landscape, consisting of senses and remembrances, a selective impression of what the real landscape is like… When the one departs, the landscape enduring in the memory to be recalled and recounted will be the one founded on perceptions, not the real landscape”(Muir, 1999). Following up the above mention conclusion the design process stepped into two main directions; one searching for ways to give the visitor pre-defined experiences by introducing a narrative, or tools to enlarge existing features of the site. This projects refer to installations with a certain degree of interaction aiming to focus the perception of the visitor into specific aspects of the forest playing with the senses or giving to the visitors a different role than the one they are used to. 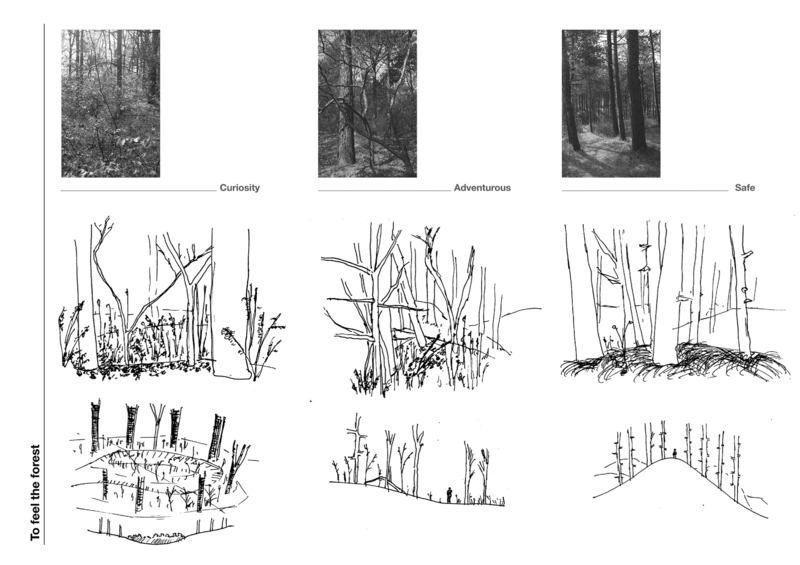 A few examples of this approach are; marking the relief and high differences of the old dunes, or by amplifying sounds and views present in the forest, or using natural material available, or reporting the visitors to former ages of the same landscape. The other direction searches for a more interactive approach where the user/visitor of the forest is a co-author and an integrative part of a research like project. This approach relates to more recently ‘bottom-up’ investigative strategies emerging as an attempt to offer a different form of analyses than the factual or theoretical one. In this sense the project has not one author but is a result of an overlapping of uncountable authors. In a curatorial way of doing research, the intention is to build a database of perceptions together with the visitors of the project stepping aside of the role as dominant creators and establishing a framework wherein the interaction can happen. The above mentioned is a result of a process which took about three weeks of intensive search for a concept. In this design phase the students were shift several time under the different ideas. In principle the ideas remained, what changed were the students working on them, depending on their own interest. In such way some ideas were developed further, others were revaluated creating a groups cohesion where everyone can now identified with the end result. This way of work helps to reach high level concepts generating a massive amount of ideas, all of them somehow being part of the final project. Pin(k) a place is the final project, still in development, which will be built during the Oerol Festival, from 09 till 19 June. Pin(k) a Place is a project that operates on the surface of the forest, overlapping the existing landscape without deleting or modifying it substantially. It is a project which has as premise to be reversible, impermanent but at the same time tries to provoke reactions, tries to choreograph a relationship in between the visitor and the landscape they are in. Its intention is the creation of a meaningful place by introducing icons to the landscape and engaging the user physically and emotionally. Its intention is also to be an interactive research of people’s perception of this landscape, to understand and document what is in there people feel the most attach to. Therefore the project opens a conversation with the visitor, stimulate their participation, mapping it and build a collectively authored archive of perceptions. Literature and studies used to develop the mentioned exercises and phases are, for example: studies and experiments e.g. made by Ellen Braae trying to capture site-specific qualities of a site (Braae et al., 2013), Cosgrove considerations about maps and mapping in Mapping (Cosgrove, 1999), Land Art projects in which the act of walk becomes an artwork in Walkscapes (Careri, 2002), Richard Muir’s definition of a Place in Approaches to Landscape (Muir, 1999), Yi-Fu Tuan seminal books – Place and Space (19077) and Topophilia(1972), Ed Wall essay on an method how to create an interactive cartography (Wall, 2017). More information about our project? 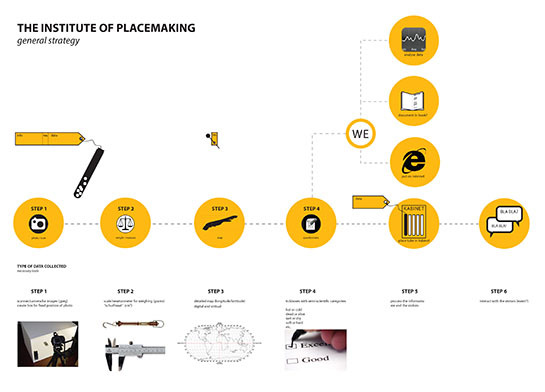 The Institute of Place Making finds out and makes visible what the notion of place is about and how it evolves. It will do this by mapping, categorising and analysing feedback of visitors and inhabitants on their experience with Terschellings’ landscape and places. The results will be returned through a website with a map of the island indicating the values visitors and inhabitants endow to a variety of places they know on the island. 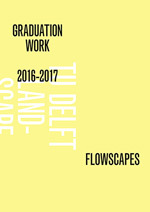 An interactive classification and exhibition of the results will take place at the Institutes’ laboratory during Oerol at ‘Duinmeertje Hee’. People will be all around the island during the festival. Therefore the staff of the Institute will go out of the office to meet them in the field, and hand out test tubes with the request to put the ‘essence of Terschelling’ in the test tube and return it to the Institute. The test tube is used as a symbol and medium to activate thinking about place. A small label is attached to the test tube, with instructions and space to fill in personal information: age, gender and place of residence, a space to fill in data about the place: a small map to mark the location, what the weather was like and the time of the day, and a small space to note the experience in a few keywords, or draw something. This information will help us to categorize the places. In addition to this, conversations with visitors on their place will be collected as audio and video fragments. The visitors may keep the test tube a couple of days with them to find and experience their place before returning it to us. One can visit the Institute at ‘Duinmeertje Hee’ to have the results, test tube and completed label, processed. Here, the visitor is brought into a pseudo-scientific world of staff in white lab coats who receive the visitor and extract the data with them in a couple of steps: making a photograph of the test tube, measuring and weighing the contents, pinning the place as accurate as possible on a large wall map, asking some additional questions to categorize the data like wet or dry, hot or cold, dead or alive, and then bringing the data form the label into a digital interactive map on the website. The visitor is then asked to go into the forest and put their test tube in one of the white cabinets in the ‘open air laboratory’. These cabinets have poetic names like ‘the cabinet of overwhelming nature’, ‘the cabinet of immeasurable colours’ or ‘the cabinet of eternal elements’. In every cabinet, a more detailed classification is made within the theme of it. After some days a collection of experiences builds up in the cabinets in the form of a cabinet of curiosities that other visitors can watch and study. The cabinets will be installed in the forest in accordance with the shape of the old dunes’ topography the raster of trees and the patterns on the forest floor, forming a group of ‘objets trouvés’. The results of the project will be heavily coloured by the fact that there is a festival taking place, but the principle could be repeated on a different moment or at a different location. It certainly will give us an overview of places and landscapes that people on Terschelling appreciate most. For a more elaborate investigation the fairly subjective data of the visitors will be supplemented with more objective characteristics derived from GIS-data like landscape type, field of view, percentages green, open sky, water, weather, etc. A comparison could then be made between perception of a person and what the landscape actually looks like. Each day of Oerol the results will be analysed and some striking outcome will be the motive for a daily manifestation in the afternoon, elaborating on that specific result. But the investigation could also be placed in a broader context .The next step could comprise of making the results operable for landscape architectonic design. 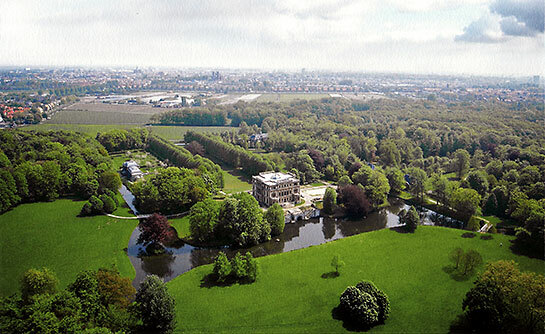 The landscape in the Netherlands is changing rapidly, and will continue to change even more in the future. The ‘old’ is replaced for the ‘new’, usually to the chagrin of those familiar with these places. How can we use their views to guide transition in a more sensible way? The Institute of Place Making also wants to find an answer to that question.